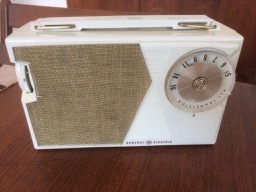 I’ve been working on making an old General Electric P-808A radio from the late 1960’s into a bluetooth speaker. These have been easy to find on eBay, usually for under $19 – $20 + shipping and they have just enough room for your components inside. The first step is to open the radio up and take it apart. Now be careful as you want to go slowly to save the front dial and the on/off/volume switch. Some models are slightly different on the inside from year to year. First remove all the screws that hold the pcb onto the posts and same them. Remove the PCB. If it is connected to the on/off potentiometer, cut around it carefully and save enough pcb so that you can still use the on off switch. Also remove the old speaker and save it for another project. Carefully pry off the dial on the front using a small flathead screwdriver. In one model I had the gold center needed to be pried off first. Once this is off you can remove the 3 screws and the giant potentiometer (pot) on the inside. Save the screws and the metal plate with the screw holes on the pot. I cut the plate off of the pot with a Dremel tool. I then replaced the old pot with a more modern much smaller one and connected it to the screw plate and screwed it back on. We don’t care what the value of the pot is, only that it is the right length to hold the dial in place. Lastly, I made a model in Sketchup for a speaker holder the same size around as the old speaker. I then 3D printed it and drilled holes for the new speakers. We are using these great little speakers Dayton Audio CE Series CE32A-4 1-1/4 Mini Speaker that are only 1 1/4″ square. In this photo you will notice a 4 pin JST connector. 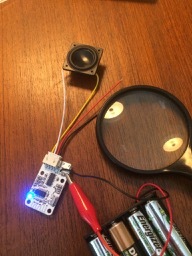 We needed this to connect the speakers to the bluetooth module. We soldered the wires onto the speakers and used heat shrink tubing over the connections. We bought the bluetooth module – Wireless Bluetooth 4.0 Stereo Audio Receiver Module Digital Amplifier Board Module USB 3W+3W 5V DC on AliExpress. Now start connecting everything together to see if it will work. In this photo we are using 4 x AA Battery Holder and 4 AA batteries to test that the module and speaker work. Also test the pot / on/off switch to make sure you connect the wires correctly. We used a small breadboard, 4 AA batteries and an led for this test. Once this works, you can start soldering. We soldered the ground wire from the battery holder to ground on the bluetooth module. 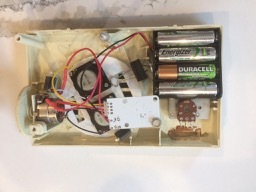 Then positive from the battery holder to one connection on the on/off pot. We then soldered a third wire from positive on the bluetooth module to the other connector on the on/off pot. 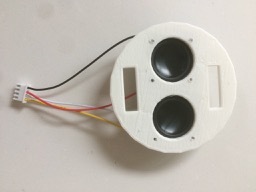 I then put the speaker module in place and connected it to the bluetooth module. This is held in with clips and my 3D printed model was a little too small so I am currently holding it in with a different clip. Then screw the bluetooth model in upside down to one of the posts, secured the battery pack to the back cover with velcro and put the back cover on. Here is what the inside looks like when done. So far works great with one issue. Volume is controlled by your phone. When turning on the radio you will hear a loud message stating your bluetooth module is ready for pairing. 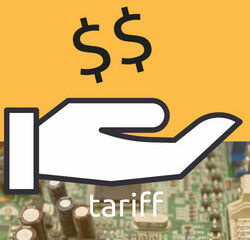 But hey, what do you expect from a bluetooth module that cost only $2.60? Some things to do in another version. 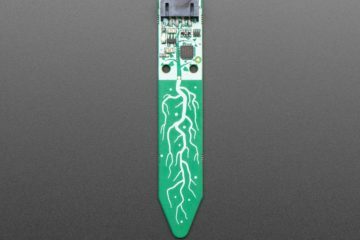 Find a different bluetooth module a similar size with no message. Being able to change the bluetooth name would also be nice. Find a better way to adhere battery back to case. Redo 3D printed speaker holder to be slightly bigger so you can use the clips that come with the radio.